For all the watch lovers out there, MMT has recently released a fantastic new watch collection, and it is likely to impress even the pickiest person. 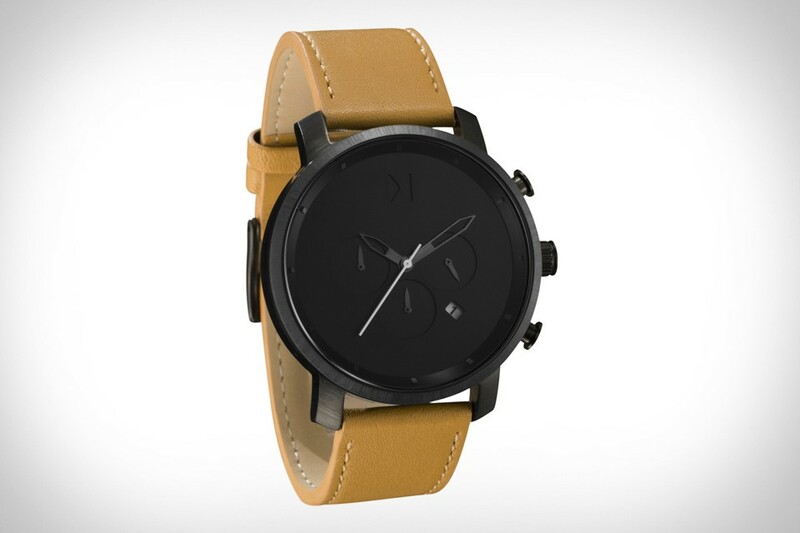 Not only is the MVMT Chrono Series a collection of watches that are very affordable, but they are truly top notch. With a clean, basic design, and a 24-hour hand inside a 45mm stainless steel case, these watches are as attractive as they are functional. The watches also feature a date window between 4 and 5 o’clock, a metal or leather band option, and consumers can choose either a black or white face. The new Chrono Series watches are so versatile that they can be worn with any type of attire, from everyday casual wear to something a bit more appropriate for wearing in the evening. Regardless of the attire that is worn, any of these watches will greatly enhance the appearance of the person wearing them. There is a Chrono Series watch that fits everyone’s personal tastes, although it is a good idea to buy more than one. Consumers can choose from a wide array of band colors and styles, making mixing and matching them with whatever is going to be worn on a particular day easy and fashionable. Unlike more expensive watches in the same category, these watches are high quality but they will not cause consumers to exceed their budgets. The Chrono Series watches are very cost effective, enabling anyone with any budget to own one or more without going broke. These dynamic watches were created for consumers that like watches that are stylish and attractive, but without a great deal of unnecessary bells and whistles.